dmtheory: Score! Chrono Cross on PSP Slim! Score! 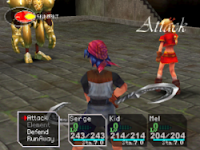 Chrono Cross on PSP Slim! Create a multidisc eboot (using popstation_md) with the appropriate PSX ID.